Ramya's dedication to creating a better multi cultural community has been supported by the Orange County Performing Arts Center in conjunction with the Orange County Department of Education. As a roster artist of the 'The Center's Arts Teach' program since its inception in 1989, she has been sharing her art in a very unique way with thousands of school children in Orange County (click on link for program / booking info). In 2002 Disney Resorts included her as one of nine featured artists for their neighborhood school districts. Accompanied by Rusty Gillette, she introduces them to Bharata Natyam, percussion, rhythms and story telling. Through the 'Arts Connect' program, she conducts workshops and residencies throughout the Southland. Ramya also works on similar programs through the Children's Creative Project in Central California and the Center for World Music, San Diego. She has been a guest instructor at University of California, Irvine for several quarters and since 1993 has presented lecture demonstrations bi-annually at the San Diego State University. She has conducted master classes and workshops at UC Los Angeles, UC Irvine, UC Riverside, UC Santa Barbara, Chapman University, Asuza Pacific University, Woodbury University, San Diego State University, California State University, Fullerton, Citrus College, Rancho Santiago College, Wesleyan University (CT), University of Alaska, Landers College (SC), Davidson College (NC), Warren Wilson College (NC) and Savannah City College (GA). 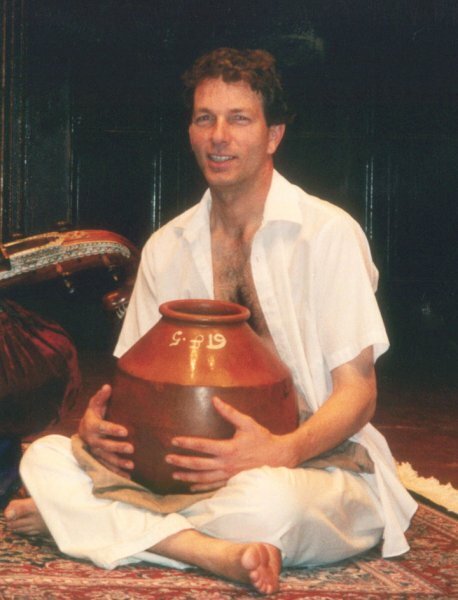 Rusty Gillette began his studies of Carnatic percussion at the California Institute of the Arts under T. Ranganathan. With a scholarship from the Center for World Music, he studied ghatam with T.H. Vinayakram in Madras, India. For more than 20 years, Rusty has performed extensively throughout the world, accompanying many artists such as Geetha Bennett and dancers, Ramya Harishankar and Viji Prakash. Currently living in Southern California, Rusty's career has also extended into jazz piano. He teaches South Indian percussion at San Diego State University.